Moses built and lifted up the brass serpent, healing the afflicted Israelites of snakebites. King Hezekiah called the serpent Nehushtan. Long thought destroyed, it's been buried for millennia, secreted under the region's shifting sands. Now the Israeli government wants it back and they will stop at nothing to get their hands on it. Yet they're not the only ones who covet the Nehushtan. Archaeologist Jack Hawthorne travels to Libya intent on recovering the sacred object, but one does not cross the Mossad and expect to walk away without a fight. Jack and his friends must find the priceless "snake of brass upon a pole" before those who are also hunting it find them... and silence them forever. Buy Serpent of Moses at Barnes & Noble. 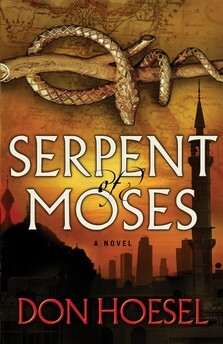 Buy Serpent of Moses at Christianbook.com. Buy Serpent of Moses on Amazon. Sociologist Brent Michaels' specialty is seeing order in the chaos of human interaction and he's just been given the most important assignment of his life. Joining a special Pentagon unit headed by Colonel Jameson Richards, they have one goal: Uncover why the world is rushing toward doomsday. It's December 2012 and the world is approaching the brink of panic--the timing of which eerily coincides with the ending of the Mayan calendar. But, beneath the despair of fanatics and doomsayers, and amid a rising tide of both man-made and natural disasters, something far more dangerous emerges--someone is manipulating events, pulling strings, and only Michaels and the team have a chance at stopping the end of the world. Buy The Alarmists at Barnes & Noble. 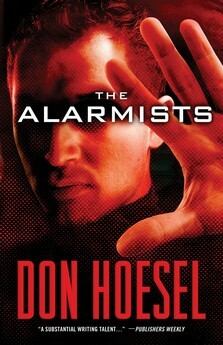 Buy The Alarmists at Christianbook.com. Buy The Alarmists on Amazon. Few will go as far as the Baxters to keep them. Bestselling novelist CJ Baxter has made a career out of writing hard-hitting stories ripped from his own life. Still there's one story from his past he's never told. One secret that's remained buried for decades. Now, seventeen years after swearing he'd never return, CJ is headed back to Adelia, NY. His life in Tennessee has fallen to pieces, his grandfather is dying, and CJ can no longer run from the past. With Graham Baxter, CJ's brother, running for Senate, a black sheep digging up old family secrets is the last thing the family and campaign can afford. CJ soon discovers that blood may be thicker than water, but it's no match for power and money. There are wounds even time cannot heal. Buy Hunter's Moon at Barnes & Noble. 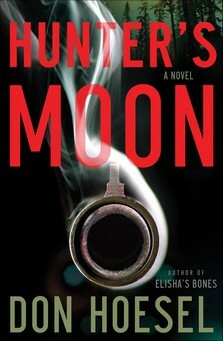 Buy Hunters Moon at Christianbook.com. Buy Hunter's Moon on Amazon . Billionaire Gordon Reese thinks he knows where the bones of the prophet Elisha are-bones that in the Old Testament brought the dead back to life. A born skeptic, Jack doesn't think much of the assignment but he could use the money, so he takes the first step on a chase for the legendary bones that will take him to the very ends of the earth. But he's not alone. Joined with a fiery colleague, Esperanza Habilla, they soon discover clues to a shadowy organization whose long-held secrets have been protected . . . at all costs. As their lives are threatened again and again, the real race is to uncover the truth before those chasing them hunt them down. Buy Elisha's Bones at Christianbook.com. Buy Elisha's Bones on Amazon .